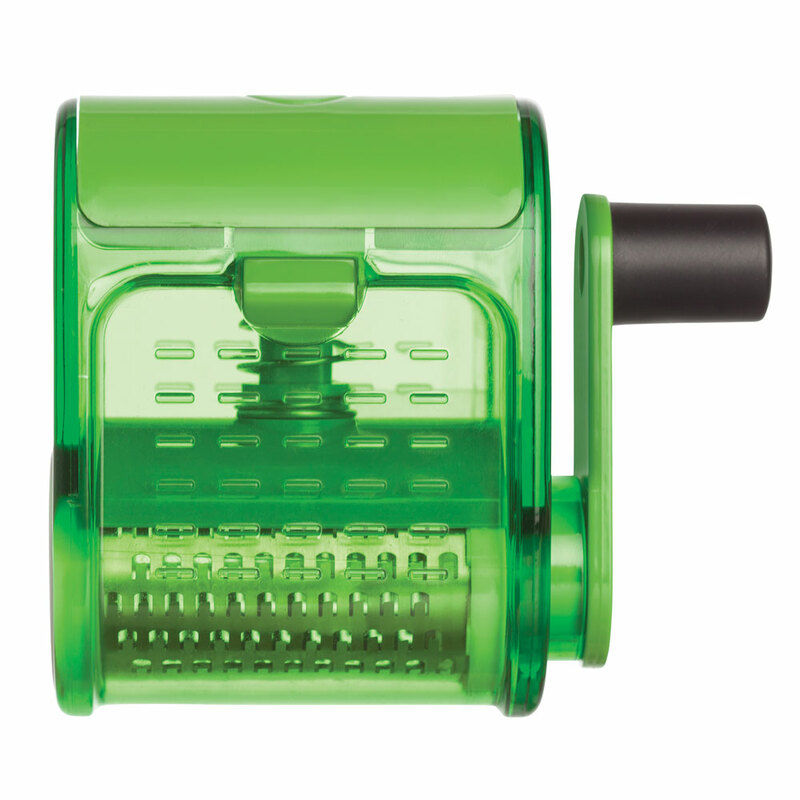 Cousin Bartolomeo’s grater is convenient for table use, with its spring-loaded hopper that doesn’t need to be pressed; simply insert a piece of cheese, close the hopper, and turn the handle. 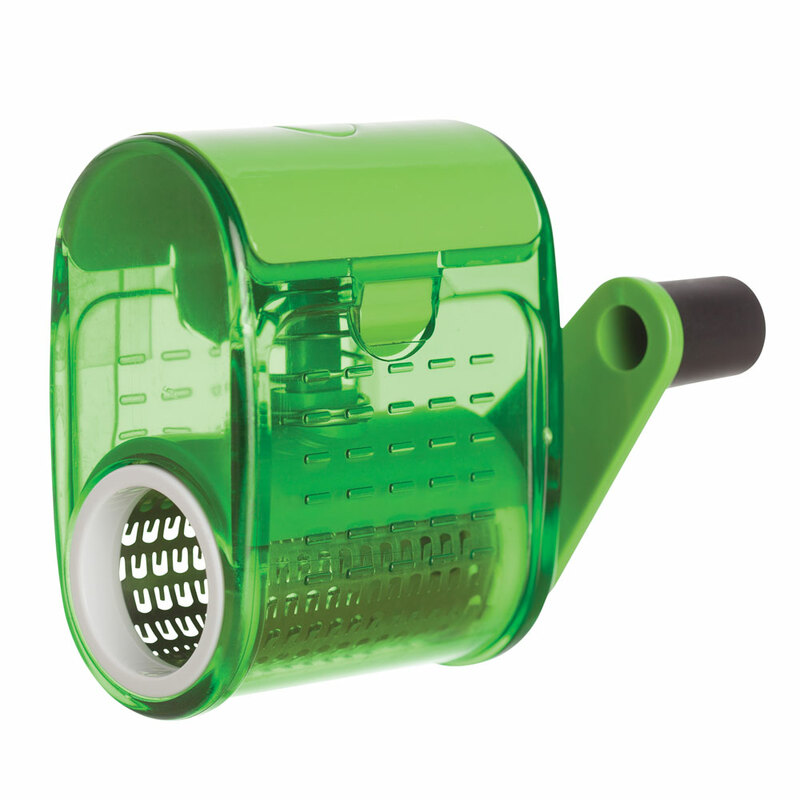 For finely grated cheeses, nuts, breadcrumbs, and more, this grater is specially designed to hold ingredients firmly in place against the grating drum, producing a finely ground product. Made with 18/8 stainless steel and sturdy, BPA-free plastic.